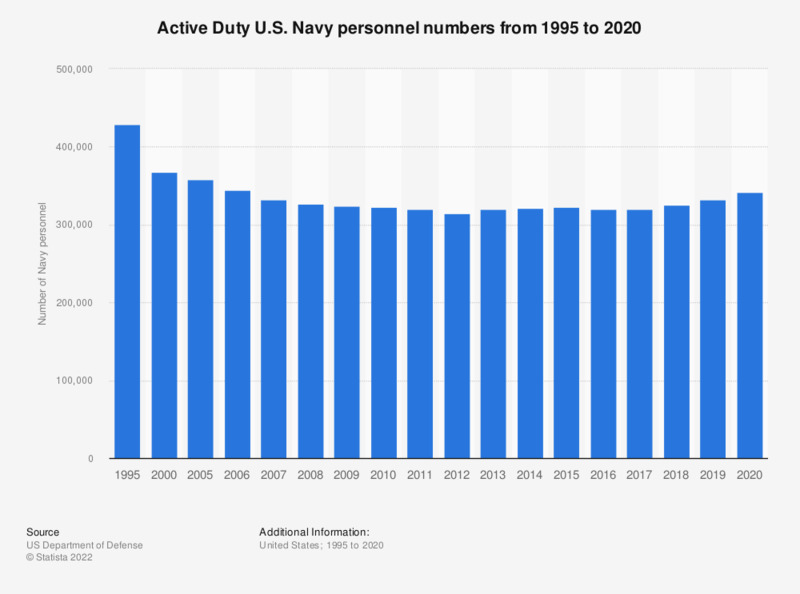 This graph shows the number of active duty U.S. Navy personnel from 1995 to 2017. In 2017, there were 319,492 active duty Navy members in the United States Department of Defense. In 2000, there were 367,371 active duty members.